With a love of deep-fried treats and an affinity for heat in every dish, Southwestern foodies are not afraid to experiment with exotic meats, offbeat flavor combinations, and melding two very different cooking traditions into one dish. The payoff is that these dishes bring diners in the Southwest perhaps the widest scope of flavors and the broadest and most varied cultural influences that the country has to offer. From odd and delicious takes on pizza to a hamburger that’s as important culturally as it is culinarily, these dishes can take you on a journey through the diversity that makes America the land of opportunity. 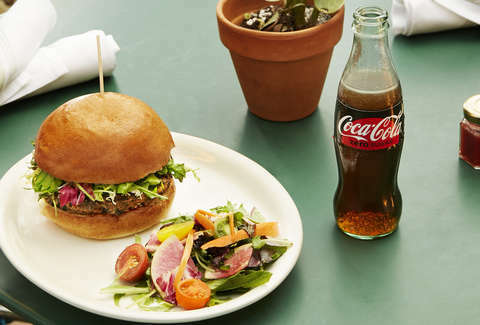 A veggie burger in steak land is a departure to begin with, but when it tastes like Oddfellows’ house-made curry, now you’ve got a burger that represents the culinary influences of the booming Indian population in the DFW area. And located in the foodie paradise of Oak Cliff’s Bishop Arts District, you’ve got a burger that’s ready and willing to compete for your appetite unafraid of meat-based counterparts. Dallas-Forth Worth’s growing number of veggie-only locals still get your protein here -- the patty’s oats, seeds, and black beans have you covered, and the curry’s kick will satisfy even the most picante of Texan palates. Finding spicy common ground for the changing local culture is exactly what you’d expect from a place with the motto “Food for all." Everyone loves some chips and queso. Order some for the table and become an instant hero. But to get a true taste of the wild, outdoorsy spirit of Colorado, the state's oldest restaurant tops their cheese dip with smoked rattlesnake meat. While some may initially try it as a novelty, the savory kick that the rattlesnake adds to the dish makes for a delightfully umami-laden taste experience. Buckhorn Exchange offers a wide variety of wilderness game meats, but none are more popular than this exotic and delicious appetizer. Because who doesn’t love a dip with some bite to it? Founder of local favorite pho spot DaLat, Khan Nguyen, opened the pizza chain ZaLat with the same adventurous spirit as his Vietnamese cuisine (plus an excellent triple pun on pizza zealotry). So it only makes sense that the Pho Shizzle, his most out-there pizza, is a tribute to his original spot -- and a sign of how the significant Vietnamese populations in Garland and Arlington are an integral part of Dallas culture now. 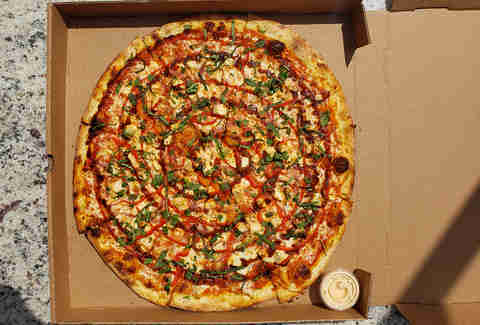 This pie, with chicken, red bell peppers, caramelized onions, cilantro, basil, and hoisin topped with a swirl of Sriracha on a thin crust, will play tricks on your taste buds in the most glorious of ways. Texas invented chicken-fried steak to prove how willing this state is to fry its foods. But Sooners love to provoke their neighbors to the south, so Oklahoma City’s Ludivine doubles down on its decadence. 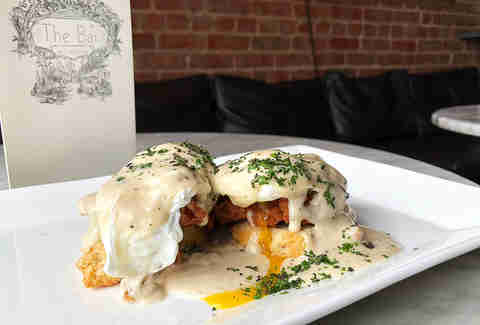 Giving the beloved meat an eggs Benedict treatment, they substitute buttermilk biscuits for English muffins, and top medallions of chicken fried steak with a farm-fresh poached egg. The Hollandaise sauce is replaced with peppery cream gravy because apparently, butter wasn’t rich enough. The only thing more declarative than a deep-fried steak for dinner is eating it for breakfast. A longtime staple for Austin foodies, Whip In provides Indian and South Asian dishes at an affordable price. 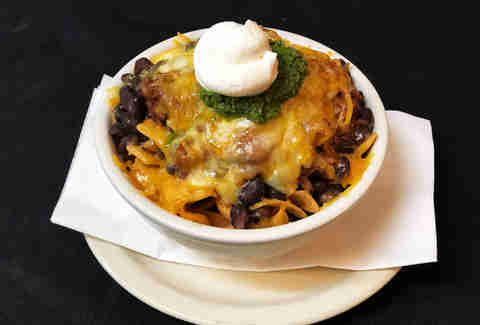 So, it’s no surprise that they added their own spin to the Texas staple of Frito Pie. In fact, it could be argued that Frito Pie, a ubiquitously lowbrow dish, being made more cosmopolitan thanks to an influx of Asian flavor, accurately reflects the diversifying demographics of the Hill Country and Texas in general. Keeping the traditional Frito corn chips, sour cream, and chili, this dish adds a black bean masala and cilantro chutney to transform an old Texas staple into a new one. For now, it’s a one-of-a-kind dish bridging the gap between two very different but equally delicious culinary traditions. But maybe in a few years, it will just be the taste of Texas cuisine. Everyone is familiar with Chicago deep dish pizza or a classic New York slice, but Colorado has its very own regional version -- and it involves honey. Beau Jo's, a beloved Colorado chain, has innovated this sweet and savory twist on the classic with a braided crust. 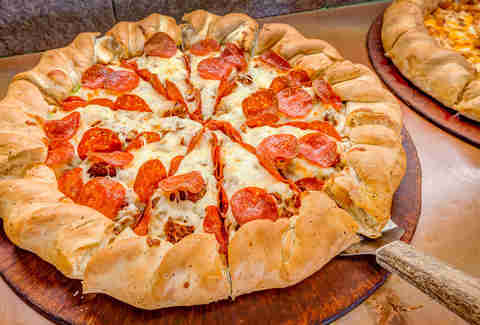 Colorado-style pizza incorporates honey into the pizza dough to give the crust a sweet kick. There’s more to it than flavor, though. Colorado’s high altitude means a lot of factors have to be adjusted in yeast baking: gases rise faster at lower pressure, including water evaporation. Using honey instead of white sugar adds liquid to the recipe, and since honey is a surfactant, traps it longer for a better bake. It also plays into high-altitude baking’s higher temperatures and shorter bake times. So you couldn’t bake Colorado style in most of the US even if you tried. But that sweet flavor’s great, too. That’s why bottles of honey are at every table to turn those leftover crusts into a savory dessert. Occasionally, a meal can be educational beyond food chemistry. This take on one of America’s most iconic dishes brings you back to a time before America even existed. In this case, it’s nanniskadii, a traditional Navajo flatbread, acting as a burger bun for the first time. For sibling restaurateurs, Bleu Adams and Mark Daniel Mason, incorporating Navajo ingredients into haute cuisine at Black Sheep is a way to keep their heritage alive and growing, while also serving as a testament to their childhood. 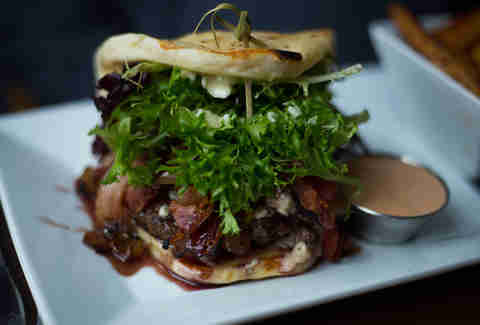 Pairing the all-American burger with the Navajo flatbread is, in a very real sense, an affirmation of identity and history. It’s also, by every account, insanely good. 99 out of 100 people in Santa Fe agree green chile should be on everything, and the 100th is dead (but happy) from eating too many chiles. Small surprise then that New Mexico’s first Japanese restaurant Shohko (est. 1975) issued its own version of the state food with a twist on chiles rellenos: tempura-battered chiles stuffed with shrimp and deep-fried, with a sweet red chile sauce (true New Mexicans always choose Christmas-style). Making this even more authentically New Mexico, Shohko was founded by hippie transplants Hiro Fukuda and his wife Shohko, who invented this dish after learning to make regular chiles rellenos from a neighbor. And isn’t culinary crossover while cooking with friends what’s REALLY classic about America?